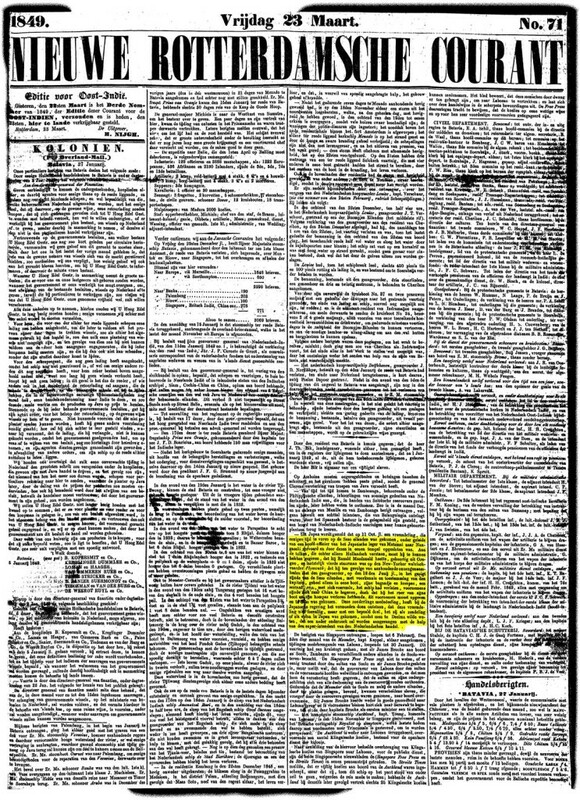 Ranald MacDonald’s arrival in Nagasaki on October 11, 1848, was front page news in Dutch newspapers published in Amsterdam, The Hague and Rotterdam. Hence ‘Holland’ above this page. This is less surprising than we may now think. The opening of Japan was an important issue in international relations. European powers, Russia and the United States of America all had their own reasons for attempting to gain access to a country that had closed itself to the rest of the world. In 1844 even the Dutch King William II strove for Japan achieving more open international relations by sending a letter to the shogun. 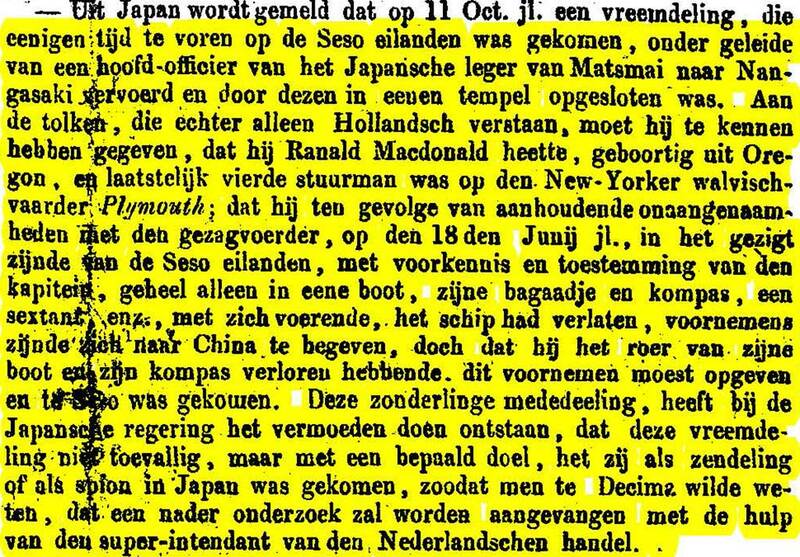 Only the Netherlands and China had footholds in Japan. Since 1641 the Netherlands had had a trading post there that consisted of about 20 people living and working on a small man-made peninsula near Nagasaki called Deshima. Once a year Dutch ships arrived to do business. There had always been a large number of Chinese there who traded more expansively than the Dutch did.